There has been a ton of research about the power of diversity in the workplace, but many companies still lack diversity. Diversity helps organizations by elevating company knowledge and creating a welcoming environment where people can communicate and grow together. The problem with diversity is that many companies don't think about it in a nuanced way. They may hire a few diverse employees, but they don't support employees like they should or support essential diversity initiatives. By the end of this article, you should have a better understanding of the best practices involved with hiring diverse candidates. First and foremost, hiring diverse candidates needs to be a high priority for your team. If you are not putting effort into hiring diverse candidates, your team will likely default to hiring what is most convenient for them. You have to make sure that your team knows increasing diversity is of the utmost importance to you. Above all else, you need to give them the resources they need to be successful with hiring diverse candidates. Your support is key to ensuring that your employees will be able to recruit the diverse candidates you seek. 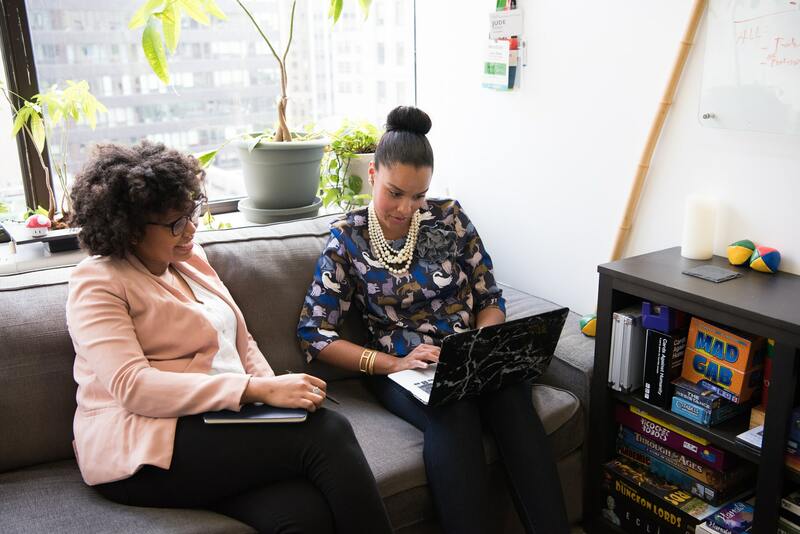 Hiring diverse candidates can be a bit more challenging than the traditional way of hiring, so you need to give your recruiting team the space they need to connect with diverse candidates. Your focus shouldn't be on filling positions as quickly as possible. Instead, your attention should be on seeking out diverse candidates, growing your network, and finding people who genuinely fit the culture of your company. Next, you want to get out of your candidate comfort zone. You’ve got to find candidates in new ways. If you’ve been recruiting candidates in a certain way this entire time, it’s time to shake things up! Find new ways to find talent so you can increase diversity in your company. We've talked about creating a candidate referral program before. Your team knows someone who would be an excellent fit for the jobs you have open now. Pick their brains to see what candidates they know about. If you've been spending all your time recruiting candidates in the same job fairs and colleges, mix it up. Your job is to make connections with different types of people. Find as many different career events in your city and local area as you can. Make connections even at smaller networking events that you may not have thought to check out. Last, but not least, hire recruiters who focus on diversity. There are plenty of recruiters who focus on diverse candidates. You can hire a recruiter full-time or pay them as a consultant to your company. Recruiters who specialize in specific types of hiring will be your secret weapon as you strive to become a more diverse company. Did you know that women are less likely to apply for a job unless they meet 100% of the requirements you set in the job description? According to a report by the Harvard Business Review, both men and women don't apply for these jobs because they didn't want to waste their energy if the employer wouldn't hire them anyway. Your job descriptions are essential because they are usually the only connection you have with an employee before they apply for your job. You may connect with them via social media or your website, but you cannot depend on that. If your job description stops them from wanting to learn more about your company because they don't meet all of your qualifications, how are you supposed to make that connection? Rethink the way you word your job descriptions. Do they need all those years of experience, a Master's degree, and everything else? Take a look at who performs at your company, consider the things that honestly matter. What makes an employee great? Get to the DNA of the fantastic employees at your company, and write job descriptions that match that. The interview process can be one of the hardest parts of the diversity recruiting process. We often find ourselves reliant on our gut feelings, when we should look at the candidates in front of us. What are they capable of and how do they fit in with our company culture? To interview the right way, we have to be consistent. Consistency means that every candidate gets asked the same questions. You can't easily compare candidates if you don't have the same information about all of your candidates, can you? One of the most important things you can do for your company is to create a comfortable environment for your newly hired employees. Retention is critical and creating a comfortable environment is often an overlooked last step. Diverse candidates are usually the minority in any office. It may feel difficult for your new employees to stand up for themselves or voice their opinions. It's your job to make them feel comfortable and give them a voice at the table. If you want to be known as a company who values diversity, you need more than just bodies in a chair. Your job is to take diversity seriously and create an environment that helps your new employees thrive in their roles. One of the first steps to recruiting excellent candidates is amazing candidate communication. Learn how to optimize your candidate communication experience by downloading our white paper.